The e-commerce industry continues to grow as a highly competitive marketplace, and Forbes will tell you why. 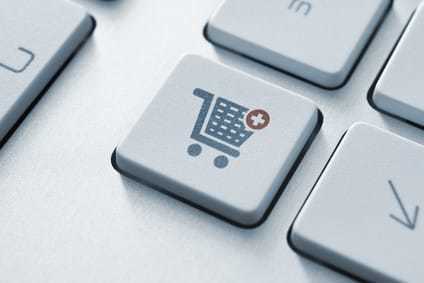 E-commerce sales reached $262 billion at the end of 2012, and projected e-commerce revenue is estimated to be $370 billion by 2017, says the business magazine. To stay competitive as sales online rise, business owners must keep their websites updated with the latest trends. Keep reading for tips on how to build your site with features that attract new visitors who turn into loyal customers. Customers have heightened shopping experiences when the experience is personalized. Making the right suggestions to the customer is key to conversion. Display too many irrelevant offerings that disrupt a shopper’s personal experience, and that visitor will bail out of your site. Capture as much information as you can about customer preferences and shopping histories. Provide capabilities for opting in to see different types of products. An ideal site design “learns” as the customer looks at products. For example, if a visitor frequently looks at apparel in blue, pages should change to show blue as the default. Customer conversion can lead to sales, but visitor engagement and customer relationships are huge focuses, explains Idea Engineeers. Connecting with people creates an emotional attachment to your brand, products and services. Attachments spur purchases. And once a customer has an attachment to a brand, they’re also likely to share purchases and products within their social networks. Capitalize on social media by creating business pages on Facebook and accounts on Instagram. Post customer testimonials. Conduct customer surveys. Create consumer focus groups. Most of all, listen to your customers, and respond. The goal of your site is to meet customer needs, including easy navigation, and have reduced costs. Fill in forms with data you have already captured. Integrate address validation solutions for “enhanced website functionality and quicker e-commerce check out,” explains qas.com. You’ll also experience improved customer satisfaction and lower drop-off rates. Streamline the process to make it as easy as possible to get the customer through product search, selection and check-out. Any additional steps you add could increase your cart abandonment rate. Pop-up windows asking for feedback, ads that float across the screen, or special offer pages that appear before check-out can cause the customer to leave. A mobile-friendly e-commerce site is essential as more consumers rely on their mobile devices for shopping. A website with a responsive design will display properly for any device accessing it. User experiences can also be customized based on the user’s physical location with geo-location technology. Send consumers to your local stores or display featured products relevant to their location. Instead of displaying your current line of fleece jackets to a customer in Hawaii, you can show them your swimwear line. Brief and snappy product descriptions using bullet points, facts and figures provide customers with details about products. Regardless of how flashy your site is, if the product description is not catchy, or worse, non-existent, you may lose a potential customer. Convince your customer why this product should be selected and moved into their shopping cart.